Wow! No more visits to the income tax office. No more hassles. No more harassment. As you would have personally experienced, filing of income tax returns has become extremely simple since the launch of e-filing portal. Even the refunds are generally being paid within a matter of weeks; as against many months (and many reminders) in the past. And, henceforth, even your day-to-day issues, complaints and grievances related to income tax, would be handled online... through e-Nivaran. - To ensure "quick" resolution of his / her complaints. 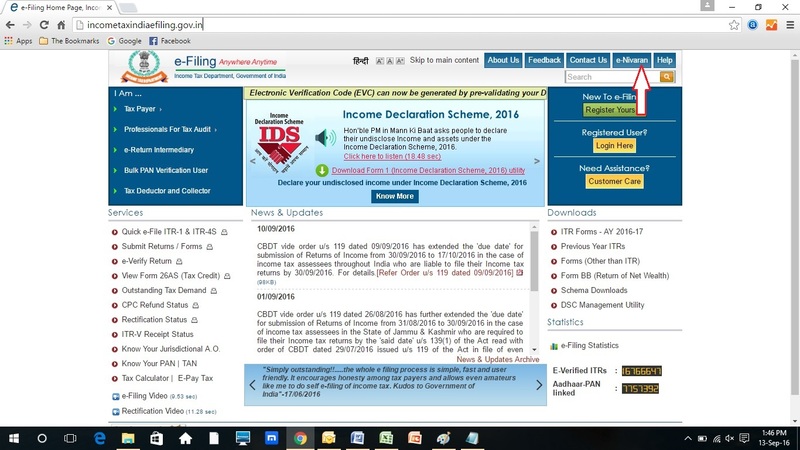 In this regards, a separate and dedicated e-Nivaran link has been added by the Income Tax Department, to its hugely popular and successful portal http://incometaxindiaefiling.gov.in, which handles your e-filing of income tax returns (see below). In fact, the system is designed not just for the 'electronic' complaints. 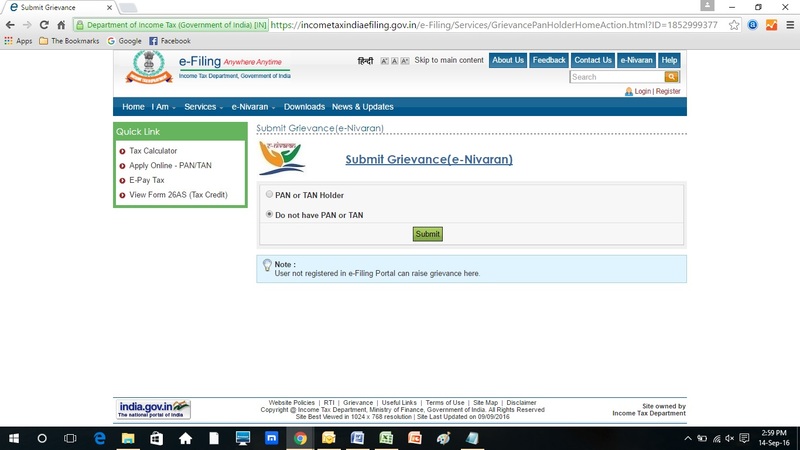 Along with the grievances lodged online, even the physical complaints would be uploaded, on to the e-Nivaran platform. (If someone does not have access to the internet, s/he can manually fill up the prescribed grievance redressal form and file it with the nearby tax facilitation centre i.e. the Aaykar Sampark Kendra). 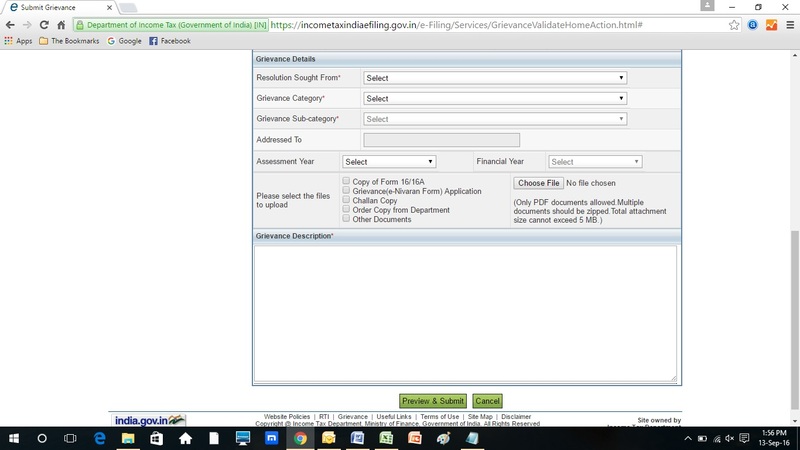 This will create a single database of all complaints received by the Income Tax Department. 2. What is the scope of e-Nivaran? 3. What happens after you lodge a complaint on e-Nivaran? 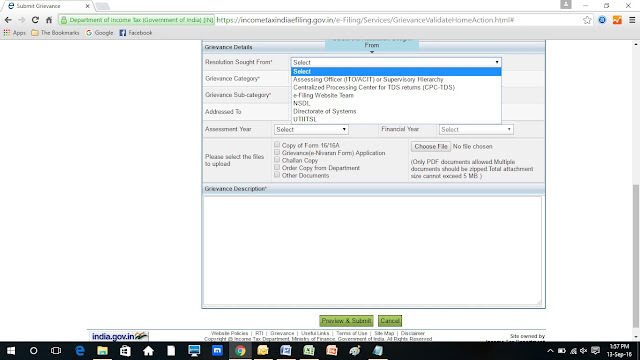 As per the common practice, all complaints would be allotted an acknowledgement number or the 'Unique Grievance ID'. This would be communicated to the taxpayer, on his registered mobile number and email address. 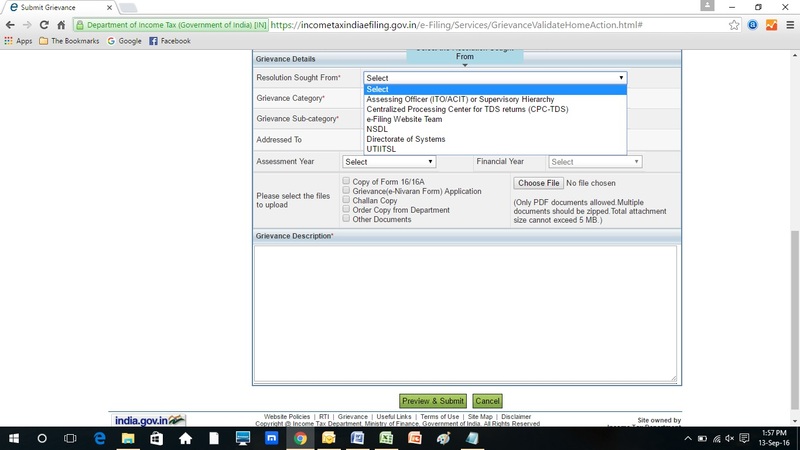 Taxpayers can track the progress of their complaint using this ID. Also, this number would be referred in all future communication related to the particular complaint, till the same is satisfactorily resolved. The grievance lodged by the taxpayer would be monitored by his Assessing Officer, and going up to the Supervisory Officers. Needless to mention, all this will happen online, without the notorious "files" crawling from desk to desk. As desired by the PM, grievance redressal has been accorded top priority. Hence, top-ranked officers would be allotted a specified quota of complaints. They are required to monitor and track these till the logical end. 4. What is the form for e-Nivaran grievance redressal? This includes your Name, Address, Email ID, Mobile Number and Permanent Account Number. Some of the data fields, marked in red *, are mandatory. Herein, you have to specify from whom you are seeking the resolution, the category / sub-category of the grievance and the relevant Assessment Year (in case of an individual) or the Financial Year (in case of a tax deductor). (iii) Total size of the attachment cannot exceed 5 MB. In addition, a separate space is provided, wherein you can explain the nature of your grievance and elaborate your complaint in more details. 5. What if you don't have a Permanent Account Number? The e-Nivaran facility is available to even those, who do not have a PAN. 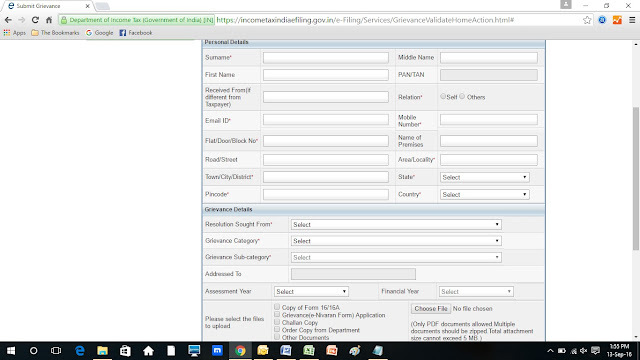 Such persons too can lodge their income tax related complaints on this e-Nivaran platform. This, in a nutshell, is yet another brilliant step by the Income Tax Department after the e-filing of income tax returns. Prime Minister and the Central Board of Direct Taxes deserve all the applause for this customer-friendly e-Nivaran initiative.